FALL RIVER, Mass. – Southcoast Health today announced that Ronald Jay Rapoport, MD, rheumatologist, has joined the healthcare system, and will see patients at 1030 President Ave. in Fall River. He is the Chief of Rheumatology at Southcoast Health and the Director of the Osteoporosis Center at Charlton Memorial Hospital in Fall River. Dr. Rapoport’s main areas of focus include the various arthritidies such as rheumatoid arthritis, osteoarthristis, gout, lupus, ankylosingspondylitis and psoriatic arthritis as well as osteoporosis. He is a staff rheumatologist at Charlton Memorial Hospital and St. Luke’s Hospital in New Bedford and is presently the Medical Director of Phase III of Clinical Research. 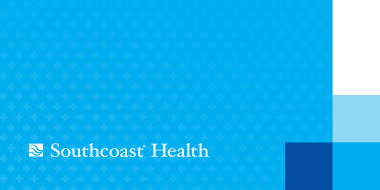 Prior to joining Southcoast Health, he worked in private practice in Fall River. He was program advisor for the Outpatient Satellite Program at Healthsouth Fall River and Director of Phase III Clinical Research. He was previously a consulting Rheumatologist at Newport Hospital and the Newport Naval Hospital. Dr. Rapoport received his doctorate of medicine from the Boston University School of Medicine. He was an intern and junior resident at Michael Reese Hospital and Medical Center. He completed his residency in internal medicine and his fellowship in rheumatology at The Medical College of Wisconsin. Dr. Rapoport is a fellow of the American College of Rheumatology. He is a member of the New England Rheumatism Society, the National Osteoporosis Foundation, and the Fall River Medical Society. His past publications have focused on the management of acute pain, treatment of osteoarthritis, osteoporosis, and the treatment of rheumatoid arthritis. Dr. Rapoport is board certified in internal medicine and he is a certified Clinical Densitomotrist Appointments can be made by calling 508-676-3411.